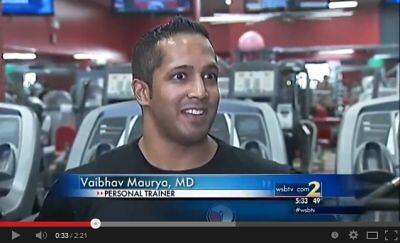 Man revived with AED by skilled team after collapse at Dunwoody Anytime Fitness. Kudos to all involved in saving a man's life at Anytime Fitness in Georgetown!! On the scene was Personal Trainer Dr. Vaibhav Maurya, Front Desk worker Justin Allen & Dunwoody Police Officer Danny Tedesco with Club Manager (also a Cardic Nurse) Ally Taylor also there to assist. I may need to rethink just doing the Orbital Machine in the basement?? Special Dunwoody City Council Meeting for conducting oaths of office - welcoming Jim Riticher - Thurs Jan 2nd. Sec. 2.09. Meetings, oath of office, and mayor pro tempore. "I do solemnly swear or affirm that I will faithfully execute the office of [councilmember or mayor as the case may be] of the City of Dunwoody, and will to the best of my ability support and defend the Constitution of the United States, the Constitution of Georgia, and the Charter, ordinances, and regulations of the City of Dunwoody. I am not the holder of any unaccounted for public money due this state or any political subdivision or authority thereof. I am not the holder of any office of trust under the government of the United States, any other state, or any foreign state which I by the laws of the State of Georgia am prohibited from holding. I am otherwise qualified to hold said office according to the Constitution and laws of Georgia. 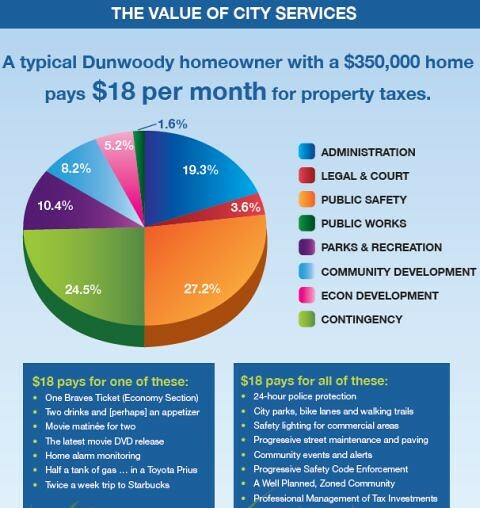 I have been a resident of my district and the City of Dunwoody for the time required by the Constitution and laws of this state and by the municipal charter. 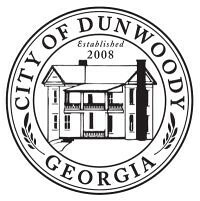 I will perform the duties of my office in the best interests of the City of Dunwoody to the best of my ability without fear, favor, affection, reward, or expectation thereof." (b) Following the induction of the mayor and councilmembers, the city council, by a majority vote of the councilmembers, shall elect a councilmember to be mayor pro tempore, who shall serve for a term of two years and until a successor is elected and qualified. The number of successive terms an individual may hold a position as mayor pro tempore shall be unlimited. (c) The mayor pro tempore shall assume the duties and powers of the mayor during the mayor's temporary disability, suspension, or absence. If the mayor pro tempore is absent because of sickness or disqualification, any one of the remaining councilmembers, chosen by the councilmembers present, shall be clothed with all the rights and privileges of the mayor as described herein and shall perform the mayor's duties in the same manner as the mayor pro tempore. 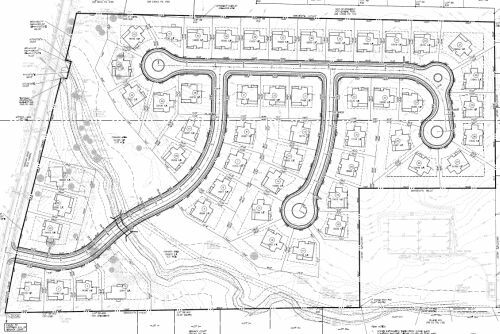 This afternoon a resident forwarded me and other bloggers the results of an open records request where he asked City Staff about development plans for a new single family (R-100) subdivision off Vermack Road. The Dunwoody Crier announced the possible development on the front page of Tuesday's paper and I am deciding to post all of the documents that were forwarded to me so to make sure everything is now put into the public domain. Attached is all the documentation we have for a conceptual review of the Vermack property. Attachments (in order) include: the initial application, the initial drawing for a conceptual sketch plat, the initial findings report submitted by the applicant, completed by a third party contractor, an updated conceptual sketch, and staff comments that were sent to the applicant. Because this is conceptual only, it has not been officially submitted for permitting; all reviews are preliminary. 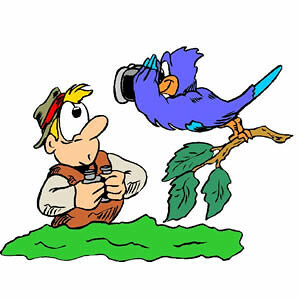 On Saturday, Dec. 21 at 8:30 a.m., come to Brook Run Park for a “Bird Watch”. Friends of Brook Run Park and Marshall Weber, naturalist and expert birder will set up spotter scopes at the picnic tables to the right of the Brook Run Community Garden just up the hill from the “Rain Garden”. The event is free, will last about one or two hours. Birders and Wannabes are invited to come and bring binoculars if they have them, and there will be binoculars, bird books and handouts there to share. Hot chocolate, hot apple cider and slices of pumpkin bread are also on the menu at no charge. Bird feeders and a bird bath have been set up there for a few weeks and the birds have been flocking in. “Bird Watch” goers can bring a chair and/or sit in comfort at the picnic tables to watch the birds. Dress for the weather. Wear shoes or boots that can handle some wet spots, tell all your birding friends and Be There. Dunwoody School meetings Sunday 2 pm at St. Luke's and Dunwoody Mom knows best. 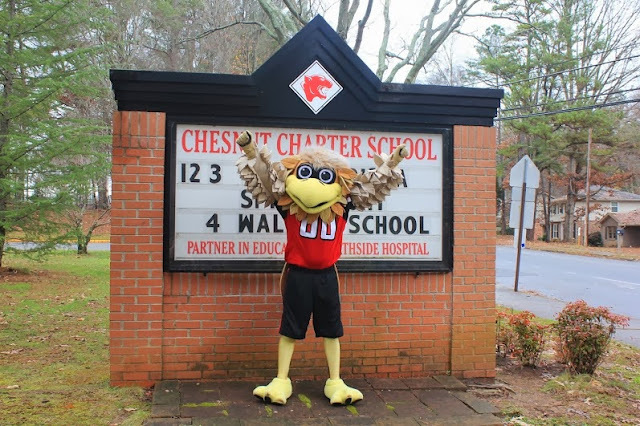 On Friday, December 6th, Chesnut Charter Elementary joined the Atlanta Falcons' "RISE UP-idemic," as the school celebrated having been chosen as the Atlanta Falcon's "Rise up Friday" School of the Week. The title was earned after Ms. Julie Borenstein’s 5th grade Discovery students submitted to the Falcons their "rise up" themed bulletin board demonstrating their spirit and pride in Atlanta's hometown NFL team. Chesnut’s entire student body, faculty and staff welcomed Freddie the Falcon and two cheerleaders as they presented a banner for display in the school. Smart Dunwoody kids win DeKalb County Academic Bowl - Congrats to both Dunwoody & Vanderlyn. Dunwoody Parents Concerned about Quality Education will host a community meeting to review the Dunwoody Independent School District Feasibility Study on Sunday, December 15 at 2:00 pm in the Great Hall of St. Luke's Presbyterian Church, 1978 Mt. Vernon Road in Dunwoody. Georgians for Local Area School Systems is an advocacy group promoting the passage of HR 486 in the Georgia General Assembly and then by a state wide referendum. GLASS will meet following the 2 pm Dunwoody Parents Concerned About Quality Education Community Meeting. Dunwoody Mom, the blogger who writes Dunwoody School Daze always has the best inside information on what is happening in and around our schools. Well worth a follow and a special shout out as every story above was lifted from her! Dunwoody's E.48th Street Market has been open since 1986 and serves wonderful pans of Lasagna !! We had a busy day of running errands so I stopped into the 48th Street Market in the Williamsburg Shopping Center at Mt. Vernon and Jett Ferry to find something for dinner. I haven't been in for awhile but it is a gem of Dunwoody and has been open since1986. The place was hopping with customers as there were families eating an early dinner on the patio, a table of ladies drinking wine inside and the bakery & deli counters both had people in line. Looking at the entree menu, I saw prices by the serving but I also discovered that they offered an entire pan of Sicilian Lasagna (heavy on the sausage) ready to feed 6 - 8 for only $43.00; add in the large loaf of Italian bread and I was out the door at $47.00. There was a 5 min wait as they made it for me fresh on the spot. The meal was fantastic with several second helpings and plenty of leftovers. I "cooked" dinner this evening and let me tell you that I highly recommend the 48th Street Market; I need to visit more often. 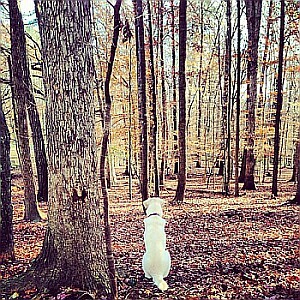 Dunwoody City Council Recap - Dog Park Contract & Concept of 5 acre park both deferred. It was a very long evening for the last meeting of the year. We started with Executive Session starting at 5 pm followed by the voting meeting starting at 7 pm which ran well past 11 pm. Streaming video the last few meetings has been hit or miss for me with poor bandwidth (might be caused by the service I use and not the city?) and numerous dropped connections. This evening I had software configuration issues because QuickTime was mistakenly installed or updated and my streaming software was not happy. I tried to give notice that I would not be streaming and that the City feed would be available. Hopefully that worked for you? Based on my notes, everything requesting a vote passed as presented except for two items. The new dog park contract was deferred as Council has questions on cost and location of the proposed new park vs the cost and effectiveness of the proposed repairs to the current park. Several on Council might be leaning towards and "hoping" for a compromise. The "Updated" concept of the 5 acre park still had the small band shell and it was discussed that we may need to cut back the plans in order to build in stages. The City held a public meeting and comment cards were completed but Council never saw the cards, instead we only received filtered information. Action was deferred for reworking. Councilmember Shortal requested that we amend the master transportation plan to remove the proposed center lane on Mt. Vernon and was told that it is best discussed when looking at the big picture maybe during the Council Retreat in January. All of the master plans should be reviewed (by Council / various Boards & the Public) every few years (5 might be right though some might need it sooner) to make sure they are still pointing in the correct decision. In case a lawsuit is ever settled, I know I would like to discuss a change to allow "Active Recreation" and/or "Scheduled Sporting Events" on the back forty acres of Book Run. Councilmember Bonser presented a bill (of about $1,700) for legal expenses and she was directed to file it against her personal expense account that contained enough to cover it. Jim Riticher is sworn in on January 2nd. Last minute additions to Dunwoody City Council agenda - Ethics Report Review and Request for Reimbursement of Legal Fees by Councilmember Bonser. There were two last minute additions to the Monday Night City Council Agenda as shown below and the two links immediately below documents the only information provided to Council for the December 9th meeting.. Very similar items were listed on the October 14th meeting agenda but at the start of that meeting Councilwoman Bonser deferred the items pulling them from the agenda and is just now bringing back the reimbursement item and Ethics Chairman Steven Blaske is now bringing back the review of the final report. The Oct 14th agenda item includes a receipt for legal expenses whereby no receipts were submitted for the December 9th meeting. 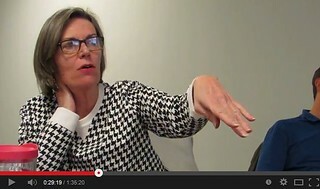 Councilmember Bonser has a $3,000 expense account for City expenses but defending yourself in an ethics hearing could easily be deemed outside the typical expense, especially whereby the decision of the hearing officer stated that the complaint was a frivolous, unjustified, derogatory and brought to be a nuisance to Councilmember Bonser. The mayor shall be provided an annual expense allowance of $5,000.00 and each councilmember shall be provided an annual expense allowance of $3,000.00 for the reimbursement of expenses actually and necessarily incurred by the mayor and councilmembers in carrying out their duties as elected officials of the city. I wish a memo was provided by Councilmember Bonser outlining the basis of her request as well as a full accounting of the reimbursement being requested. There is no other language in the charter or otherwise that allows reimbursing expenses in excess of the $3,000 amount prescribed. But that being said, it could be a fair request for the city to cover the charges of defending a frivolous complaint that probably should have been squashed on the front end of the process. I believe Council has the power to expend the funds to cover the expense if it decides to do so. I believe that Council would be well served on Monday night to flip these two items whereby Mr. Blaske reviews the final report before Councilmember Bonser discusses possible reimbursement. In the final paragraph of the report, the recommendation of the ethics board was that Mr. Steven Chipka should be forced to pay the reasonable costs of processing his frivolous complaint. That raises the issue, can the city legally charge Mr. Chipka with the expenses of the process and hearing and if so, does that include Councilmember Bonser's legal expenses in excess of her allowed $3,000 expense account? 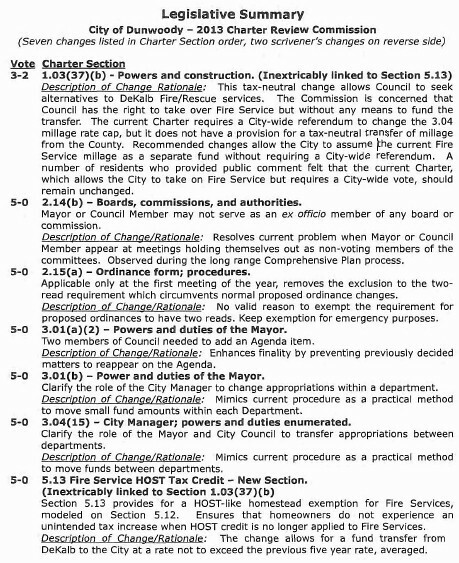 Section 2-262 of Dunwoody code says yes but I question; Mr. Chipka is not a "public servant" therefore I do not see applicability of the Article (Article VIII - Ethics in Chapter 2 Administration of City Code) as outlined in Sec 2-209 Declaration of policy, Sec 2-210 Purposes of article, Sec 2-211 Applicability of article or furthermore an allowance to collect such sanctions against Mr. Chipka in Sec 2-213 Penalties. I look forward to the discussion and questioning all parties involved. 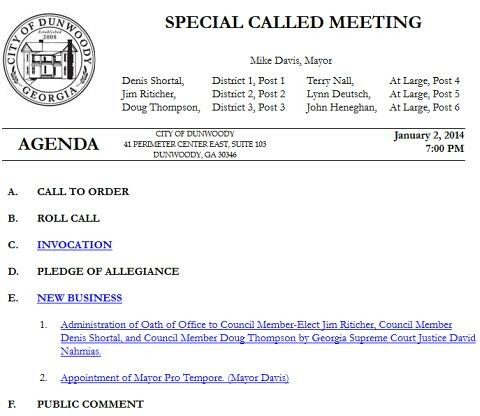 Dunwoody City Council Agenda for Monday December 9th, 2013 - busy night last meeting of 2013. Proclamation Recognizing Mayor Dr. Eva Galambos. Proclamation Recognizing Council Member Dr. Adrian Bonser. SECOND READ: Approval of Amendments to Chapter 6, Animals (Nuisance). Discussion and Approval of 2014 City Council and Community Development Boards Meeting Schedules. Approval of Updated Concept Plan for Renaissance 5 Acre Park on the 19 Acre Property. Not in the memo but my thoughts after discussions with neighbors as to why we would have three children's playgrounds so close together? Why not remove some more of the children's play structures and focus this specific park on activities for adults & seniors? Keep the splashpad, the sports courts and a very limited amount of playground but find activities and community gathering places that are not available elsewhere. Several Pickleball courts could be installed and the facility could house a league, the same could also be said for Shuffleboard courts, Horseshoe pits, an artificial putting green and maybe a chess pavilion could be built into the hillside on the corner allowing a shaded peaceful place to congregate between the two trail heads overlooking the park. I'm thinking that the band shell needs to go to Brook Run but we need to be creative with the hillside in this park concept. Approval of Award of Brook Run Park Multi-Use Trail Phase II Construction Contract. Approval of 2014 Website Redesign Contract Award - Jesse James Creative. 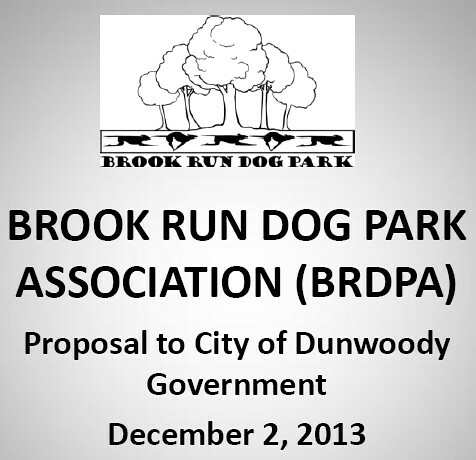 Approval of Contract 13-10 Brook Run Dog Park Construction. Approval of Contract 13-11 Dunwoody Nature Center Renovation. Approval of Contract 13-04 Parks and Right of Way Maintenance. Approval of Contract for Installation of Electrical Conduit for Camera System at Brook Run Park. Approval of ARC-MARTA Offset Funds Intergovernmental Agreement for Dunwoody VillageParkway. Approval of Agreement with Georgia DOT for PCIDs Commuter Trail System Study. Approval of Agreement with Georgia DOT for the Georgetown Area Multimodal Improvements Project. Discussion of Amendment to the City of Dunwoody Comprehensive Transportation Plan. Dad's take the Checklist Challenge with your kids on March 1st. Sign up today for this activity at allow Dunwoody Mom's to have the day to themselves. You’ve seen those obstacles and challenges on reality TV for years. You know, the ones that require individuals and teams to use their physical and mental abilities to complete. Your mind wanders as you think about whether or not you could do them…if you were given the opportunity. So here’s your chance to put your skills to the test. “The Checklist Challenge” tasks & obstacles are all uniquely worthy of checking off your Bucket List. Sign-up and get ready to experience it with your kids – as a team! Georgians for Local Area School Systems is an advocacy group promoting the passage of HR 486 in the Georgia General Assembly and then by a state wide referendum. To make the choice available to form local independent school systems. High quality education for every student through effective and accountable local school systems. Local school systems provide a high quality education that maximizes he potential of every student. Local school systems are responsive to and recognize the needs of the students, parents, teachers and their community. GLASS as Guest Speakers on Pep Talk with Nancy Jester on America’s Web Radio (9-10am). GLASS Community Event – Education and Take Action Meeting, St. Lukes Presbyterian Church in Dunwoody, 2pm. GLASS to follow Dunwoody Parents Concerned About Quality Education Community Meeting – Independent School District Feasibility Study Presentation. At the meeting on the 15th we will be organizing into working committees where community members will be able to immediately step into action. The GA legislative session begins on January 13th, so overdrive is the gear we will be putting into play here. 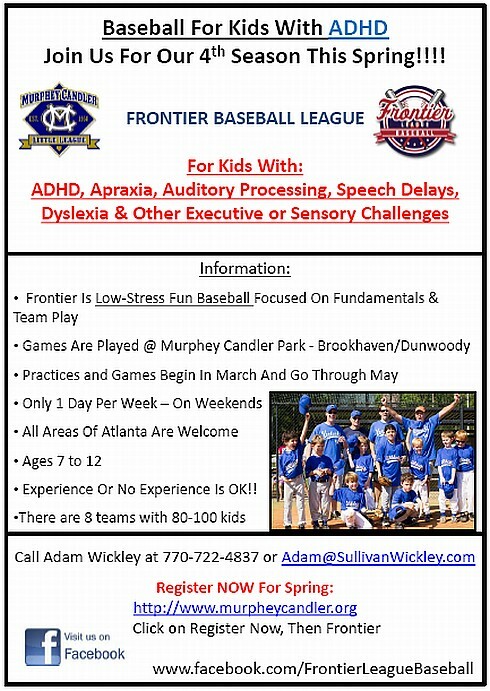 Frontier Baseball - because everyone should have an opportunity to play! I strongly support the Frontier Baseball program shown above as I have had the pleasure of coaching for two seasons and can tell you first hand that it was truly a transformational experience for all involved who have never had the opportunity to play previously. Please reach out to Adam with any questions and then register soon, as it will fill up. I have the distinct pleasure of serving on the Dunwoody City Council therefore I attend a lot of meetings, talk to many people (residents & staff) and get more email than the typical Dunwoody resident. In a spirit of transparency, I attempt to push a large amount of information out into the public domain, be it City agenda documents for your review or videos of items that I think might be of interest. I try to present information in a semi unbiased fashion though admittingly, I am not always successful of that, but I do try. At the Jim Riticher meeting on Tuesday the question of the Charter commission documents came up and I have obtained a copy and posted them on my blog and made sure that the information is now easily found on the city's website. Many questions / comments were raised during the meeting on the performance of city staff and the performance of the Council to oversee the activities of the staff. As I was there to listen, I shot video and held my tongue for most of the meeting (except for the sun shade issue which was directed specifically at me - at the 3 min mark of this video). I didn't contradict anyone of the workload and performance of the city staff but just like I presented the Charter Commission report as requested, I feel it is appropriate to share an item in my possession that discusses the oversight and workload of the city staff. 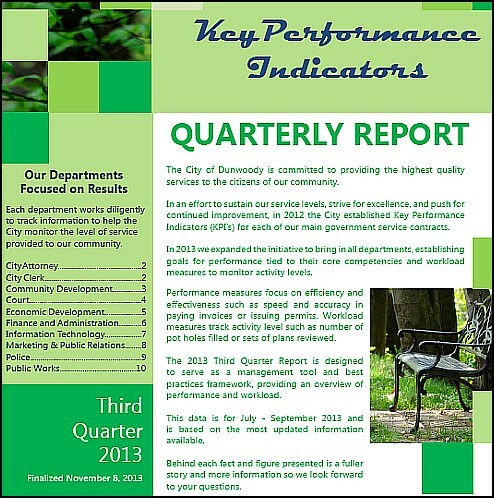 Attached above is the latest KPI stats on a three month period that the Council received from the City Manager. Take a look at the document and remind yourself that the stats only covers a three month period. 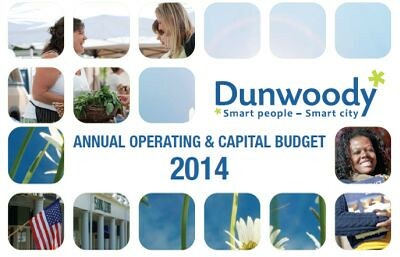 After five years of operation, I am still astonished at what we as a community created from scratch and let me tell you that I am very proud of all of the very hard working City of Dunwoody employees without whom this city would not function. Thank you. The final Charter Commission report is 70 pages long but the substantive proposed changes to SB82 are listed above. The report is available on the city website. Remember that the City Council was purposely left out of this process as this is a list of recommendations from the citizens to the State Legislature on possible governance changes. In the end, our State Reps could present and pass what was presented, present nothing if in disagreement, pass nothing presented or present completely different changes and pass what they like. Appendix B of the report (starts on page 57) lists ideas presented for change but were never voted upon for for formal submission. Possible additional changes that I have heard in the last couple months since the close of the commission was a cap on debt allowed and moving the Mayoral election to be held during the district cycle vs the at large election cycle. The ideas listed in the appendix or ideas that are yet to be floated, are all fair game as the ball is in Fran, Tom & Mike's court to do with it as they and the Legislature see fit. 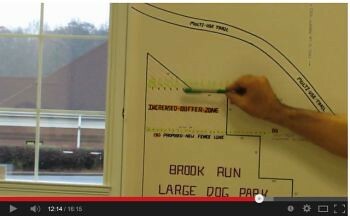 Brook Run Dog Park makes proposal to stay in place - neighbors ask that it be moved. Friends of Brook Run supportive but not true "stakeholder". 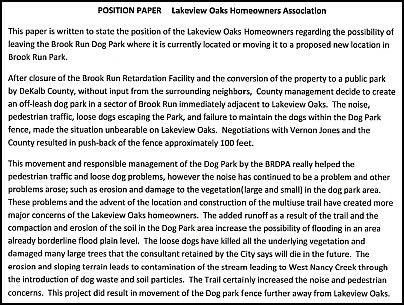 Lakeview Oaks Homeowners Association - is not supportive. November 27 - Jay Pryor to Heneghan and attachment. 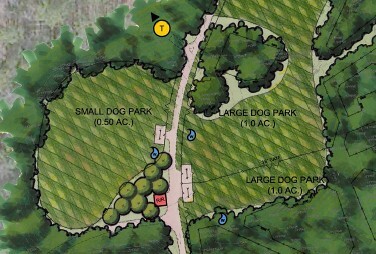 The Dunwoody City Council is scheduled to vote on Monday December 9th on approving the contract for the new dog park at the new location. The proposal presented by the BRDPA will be discussed and considered. Depending on the outcome of that discussion, either the contract for the new dog park will be approved or it may be deferred for more discussion or research of the BRDPA proposal. On November 29th starting at 6:00AM the Dunwoody Police Department will be tweeting all calls for service during a 24 hour period. 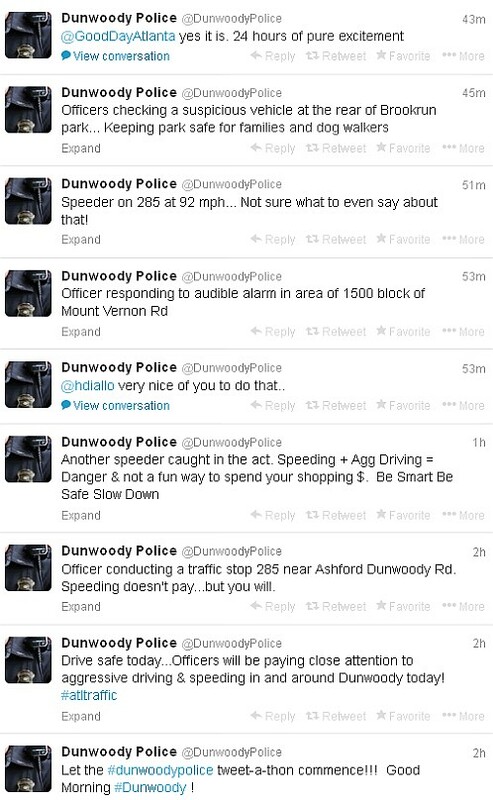 Follow us @DunwoodyPolice on Twitter and you can keep track of all the action on the busiest shopping day of the year. Follow @DunwoodyPolice from the comfort of your home or follow us while you shop to check on crowd and traffic conditions to optimize your time. Dunwoody Police will have officers on patrol and on hand at several department stores to help ensure a safe Black Friday. If you have any questions, please contact Officer Tim Fecht at timothy.fecht@dunwoodyga.gov or (678) 382-6917. Christmas for Kids - help Dunwoody’s under-privileged children by offering a gift. Registrations must be in person at iCare Atlanta located at: 5879-B New Peachtree Rd, Doraville, GA 30340. For questions regarding eligibility contact: Stephanie Stevens or Judith Fletcher at iCare Atlanta, 678/615-3341. NOTE: Family registrations for the private Christmas Party will CLOSE once we reach our 60 qualified children maximum; however, we will continue to accept applications for qualified families through Dec. 5, 2013 for gift assistance (only) subject to gift availability. Gift collections (toy drive) at participating CFK Gift Drop sites (see list below). If you are a business interested in participating as a CFK Gift Drop site, please contact Deborah Parsons: deborah@fba.org or 770/234-8347. 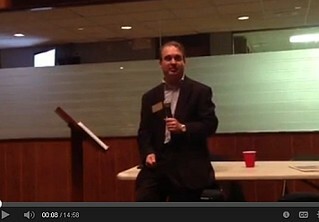 Join the CFK Team at First Baptist Church Atlanta for our Wrap-Up Event. Individual and group volunteers are welcome to share some holiday cheer while we "wrap-up" our collected toys for each and every CFK registered child. Contact Deborah Parsons for more info: deborah@fba.org or 770/234-8347. 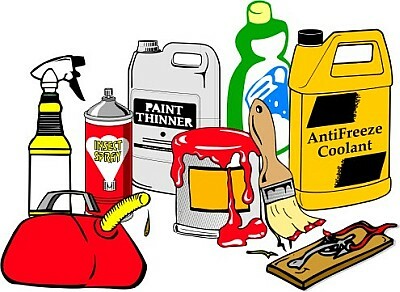 Dunwoody Police headquarters will continue to collect CFK gifts for families in need through Dec. 23, 2013. Stop by 24/7 to drop your new, unwrapped gifts in our lobby gift drop box. Thanks to each and every one of our volunteers and sponsors for your endless generosity and dedication. The CFK program would not be possible without all of our hard-working volunteers each year including the many members of the Dunwoody Chamber of Commerce, Dunwoody Chamber in Heels, Dunwoody Woman’s Club, First Baptist Church Atlanta, I Care Atlanta, Mitzvahman Photo, Douglas Photography and City of Dunwoody staff as well as many other volunteers representing families, businesses and other organizations within Dunwoody.